Provide comfort for the family of Lois Peterson with a meaningful gesture of sympathy. Late in the evening of March 22nd, under the glow of a full New Mexico moon, our dear Lois took her last breath. 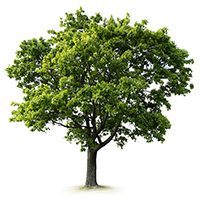 And with that, we lost the heart and soul of our family…our wife, mother, sister, confidante, and friend. 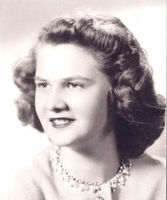 Lois Ardith Peterson, 88 years old, leaves behind her devoted husband of 61 years, Don Peterson; her four children: Keith Peterson, Ardith Peterson, Christine Peterson (and son-in-law Randey Bamford), and Brian Peterson; her precious grandchildren: Brandon and Jocelyn Cruz; her sister and best friend, Carol Benson of Palatine, Illinois; and a number of nephews and nieces. Lois now lives forever in peace accompanied by her parents, Arthur and Viola Schulz; sister Phyllis; and brothers Ralph (Bud), Eugene, Howard, and Milton. Though our hearts are broken at losing her, we can’t help but marvel at Lois, at who she was and what she accomplished. Lois devoted her life to her husband and her family, sacrificing much to provide for her four strong children. She learned to cook and sew at an early age and was a natural-born caregiver. Lois was also a teacher, having graduated from the University of Illinois in 1953. She taught elementary school in Illinois, California, and finally in her home of 61 years, Las Cruces. Lois was an avid reader, an opera buff, and fervent classical music fan who knew all the works of Mozart. She excelled at crossword puzzles, playing Jeopardy, and most of all, spoiling her grandchildren. Lois was kind and warm but quick to anger if anyone mocked her beloved Chicago Cubs. Lois lived a life full of accomplishment, influencing many along the way. She was a longtime member of the First Presbyterian Church and Ladies Auxiliary Guild. She was also a member and officer of the local chapter of Kappa Delta Pi, a retired teacher’s sorority, as well as a member and supporter of the Las Cruces Symphony Guild. She volunteered for the March of Dimes, sewed clothing for African orphanages, led fundraising for Albuquerque’s Indian School, and even found time to teach Sunday School. In short, Lois’ life was about giving and caring about others. Lois’ family wishes to express their gratitude to the those caregivers who helped ease Lois’ days: Sonia Valeriano and Cecelia Morales; the staff at L & M Christian Homecare; the caregivers at Haciendas at Grace Village, in particular Rasheda, Corinne, Memory, Amy, Lloyd, and Patrick; and the staff at Mesilla Valley Hospice, especially Tina and Prisma. Also, the family would like to extend a special thanks to Dr. Fay LaFon. The grateful family of Lois Peterson asks that, in lieu of flowers, donations be made to Alzheimer’s research at the Alzheimer’s Organization, www.alz.org. For those who would like to say a final “Goodbye” to Lois, there will be a service in the chapel at Hillcrest Memorial Gardens in Las Cruces on Thursday, March 28 at 8:30 a.m. If you would like to leave a message for Lois’ family, an online condolence book has been provided by Getz Funeral Home, www.getzfuneralhome.com. 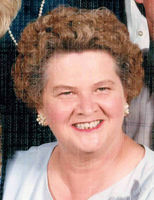 To send flowers in memory of Lois Ardith Peterson, please visit our Heartfelt Sympathies Store. Provide comfort for the family of Lois Ardith Peterson by sending flowers.